New Delhi: The reservation in promotion case did not come up for hearing in the Supreme Court today as a number of cases were listed for hearing. Earlier today, the Madhya Pradesh Government filed an application in the apex court urging that the case be taken up for hearing in January next year. 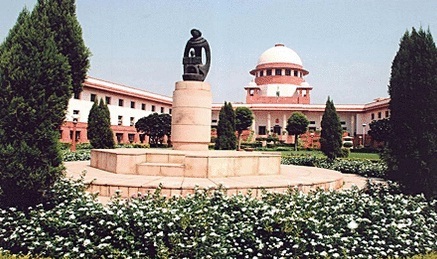 It has been observed that the State Government, which has challenged the Jabalpur High Court order declaring as unconstituional the Government rules that provide for reservation in promotions for State service officers and employees belonging to the SC/ST categories, is not leaving any stone unturned to delay the hearing in this case. During an earlier hearing the State Government had sought 4-weeks time to submit a counter in this case but due to opposition from the lawyers representing the general category, OBC and minorities, the Court had given two weeks time for the next hearing, which was scheduled for 23 and 24 November. The Government submitted its counter only a day before the scheduled hearing. Today again the State Government tried to delay the hearing but due to stiff opposition from the lawyers representing the general category employees, the court refused to grant additIonal time and fixed December 7 for hearing in this case.